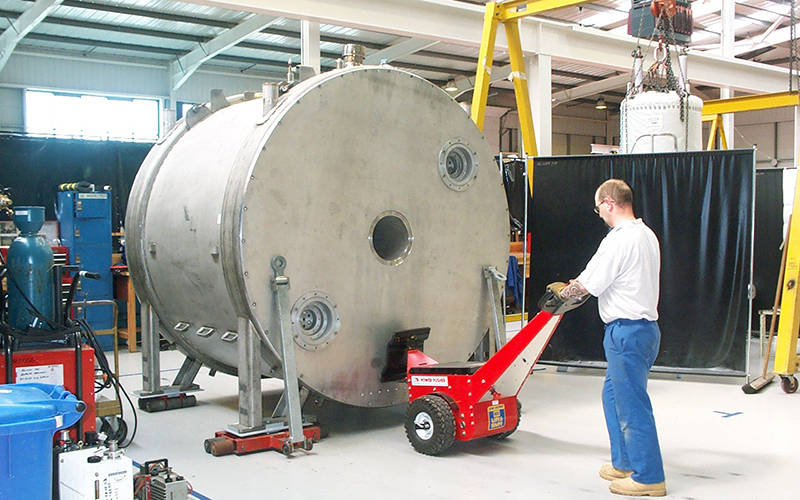 Heavy loads are often made temporarily mobile using machine skates or moving dollies. This type of load moving equipment using castors is predominantly for specific projects, such as; moving modular building structures in the manufacturing process, installing plant and/or machinery equipment, moving shipping containers, generators or air conditioning units to name a few. Once the structure/object is loaded onto the load skates, manual handling is typically used to try and manoeuvre these heavy loads into place. This requires two or three members of staff to be able to move the object, which is often difficult, strenuous and unsafe for the workforce. By utilising a Power Pusher, one operator can safely and precisely push heavy duty loads into position. Not only does our load mover save time, it’s a cost-effective solution that requires only one operator. 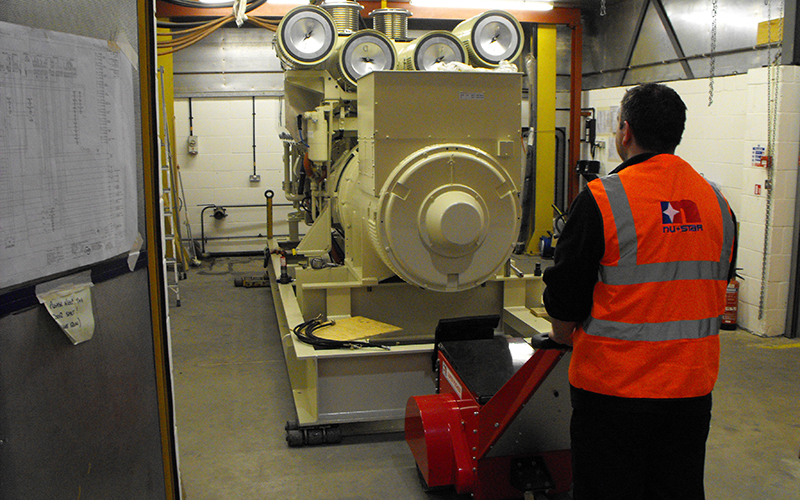 Hire a Power Pusher for your project, reduce down time and keep your project moving. We offer a number rental options, including short-term hire and weekend rentals. We can work to your requirements and organise overnight shipping or you can collect direct from our factory. Our Power Pushers are not subject to LOLER, meaning a forklift license is not required to operate one of our machines.